In the Show group, click on Task Panes. 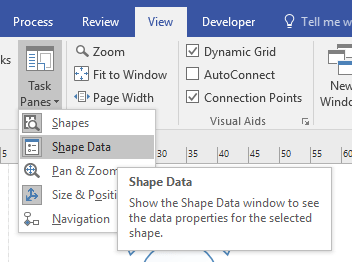 Select the second option Shape Data. You can make use of the Data Graphics feature in the data Tab, to get the data of more than one image at once.